The Pavshino local community board posted this photo in June of a high-rise development in Pavshino that it says has not undergone necessary regulatory procedures. Recent efforts by Moscow region Governor Sergei Shoigu to streamline construction rules and property zoning, along with the draft federal "road map" to simplify bureaucracy for the construction industry, could bring greater order to Wild West-style real estate development in the Moscow region. In the meantime, groundbreaking on major projects before paperwork is approved continues to result in chaotic and acrimonious relations between investors, local administrations and residents. One high-rise apartment project in Pavshino, in the town of Krasnogorsk, just outside the Moscow Ring Road and across the river from Shoigu's headquarters, is a case study in the dubious document trails of some developments. "We want citizens to be able to take part in the planning policy of the city of Krasnogorsk," said Nikolai Zuyev, chairman of the Pavshino local community board and a fifth-generation resident of the town. "Now, [policy] is being decided without consideration of public opinion." Zuyev's group is agitating against the project's developer, Krost, which has started to build two 45-story apartment towers, part of a complex called ART, which is planned to have five such units, in the Pavshino residential district. Other than the towers, the district has no buildings over two stories, Zuyev said. His group says the builders lack a properly approved land-use plan, have not completed the necessary public hearing process and are creating unbearable living conditions by doing construction work at night. One of the board members is suing Krost for allegedly violating the Moscow region law on nighttime peace and quiet, and a hearing is set for Oct. 30, Zuyev said. Although Krost presented The Moscow Times with a document showing that it has two construction permits issued at the end of June, it did not refute that the building of these towers began without permits. 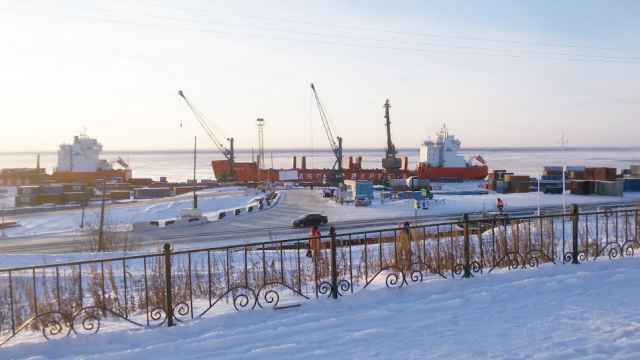 This was confirmed in a May letter from Krasnogorsk Deputy Mayor Alexander Filippov ordering the halt of construction, as well as in a letter from the Moscow Region Prosecutor General's Office noting the lack of a permit during a January inspection. Construction of the towers started last fall, Zuyev said. In the May letter, Filippov also noted that Krost lacked permission to perform earthworks and was violating residents' peace and quiet with round-the-clock construction. 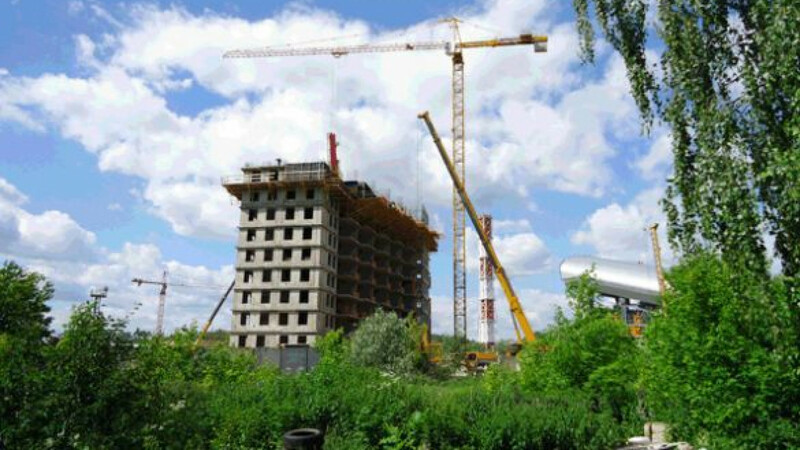 A September letter from Filippov shows that the developer had two construction permits dated June 26, 2012, but they were canceled after Krost failed to "fulfill guarantees" made to Moscow region construction inspectors. The letter reinstated these permits, noting that the "Moscow Region State Inspectorate considers it possible to reactivate the suspended permits." Finally, in an Aug. 27 letter to the Pavshino board, Krasnogorsk Prosecutor General Oleg Manakov wrote that a lawsuit had been filed in the Golovinsky Regional Court after the prosecutor found that Krost violated the law by altering the course of the Banka River in Pavshino. When reached by telephone, Filippov said that as far he remembered, Krost had been fined for beginning construction without a permit, but he declined to speak further and said that questions should be submitted through the Krasnogorsk website. A reply had not been received as of press time. The problem of illegal construction remains widespread around Moscow. The Moscow Construction Control Committee has found more than 160 illegal buildings on the 148,000 hectares of land added to the city on July 1, including some commercial buildings, RIA-Novosti reported. Sergei Popravka, a lawyer at Penny Lane realty, estimated that there are dozens of illegal commercial buildings in the Moscow region. The Golyovo business center, on Tsentralnaya Ulitsa in the village of Golyovo, also in Krasnogorsk, has drawn the ire of those living around it. Property developer Krasnogorsky Delovoi Tsentr constructed the office building on land owned by Stokton, Penny Lane realty said. Both companies are affiliated with MTK Holding, Penny Lane said. The center was built in 2008, said Krasnogorsk chief architect Margarita Falkova. Georgy Parkhomenko, deputy chairman of the Golyovo local community board, said that the building was constructed on residentially zoned land and that the necessary preliminary documentation was done after the fact. According to a letter sent by the Krasnogorsk deputy prosecutor general in May 2007, an inspection found that the land under the four-story structure then under construction on Tsentralnaya Ulitsa was zoned as residential and that its use for other purposes was forbidden. The prosecutors also said that the structure lacked the necessary construction permit, project documentation and permission to perform earthworks. In light of this, the prosecutor's office had served Stokton with a request to address the violations and penalize those responsible, it wrote. An April 2011 ruling by the 10th Arbitration Court of Appeal also noted that the land containing Tsentralnaya Ulitsa in Golyovo was zoned partly for residential construction and partly for public infrastructure. Novaya Gazeta reported that a public hearing in March 2008 on whether to change the zoning of Stokton's land in Golyovo was conducted after the business center had already been built. Falkova said the structure was constructed as an administrative building, then underwent inspection and was given a construction permit. The land on which it stands has been redesignated for public and business functions, she said. Although the legality of the office building is dubious, one of its neighbors must bring suit before a judge can order further action, Popravka said. The homes of Leonid Pugovkin and his son stand adjacent to the the Golyovo business center, but Pugkovkin said his family has had difficulty challenging the building's legality because State Duma Deputy Sergei Zhigarev is associated with the structure. 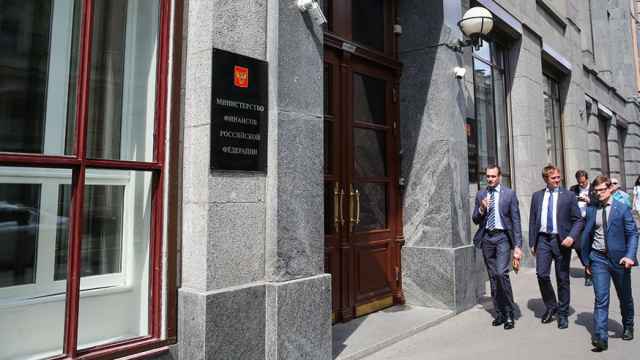 Zhigarev was previously president of MTK Holding, a company in the building, and the State Duma deputy's website gives the business center's address as his reception office. A receptionist there said Zhigarev only rents space in the building. 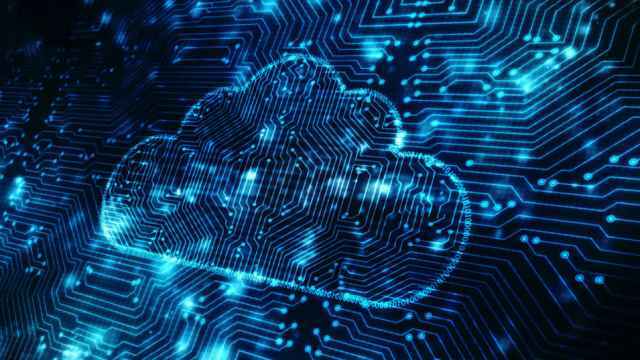 As of press time, an MTK Holding employee able to comment could not be reached, and a working number for Krasnogorsky Delovoi Tsentr could not be found. The complicated, onerous and disorganized construction regulation process often results in developers building before they receive a construction permit, said Margarita Slavina, senior associate at law firm Herbert Smith. "Illegal construction is a problem, but it didn't appear on its own," Slavina said. Obtaining a construction permit requires 51 procedures and takes 423 days on average, according to the World Bank report "Doing Business in Russia 2012." Russia took 173rd place out of 183 countries for time needed to obtain a construction permit. Some developers have difficulty putting a project with many moving parts on hold for such a lengthy period, Slavina said. A second major problem is the lack of local zoning and planning rules, she added. Many municipalities in the Moscow region don't have a zoning plan and decide the permitted use for land on a case-by-case basis, she said. "This has created the possibility for a well-meaning developer to violate the law," Slavina said. 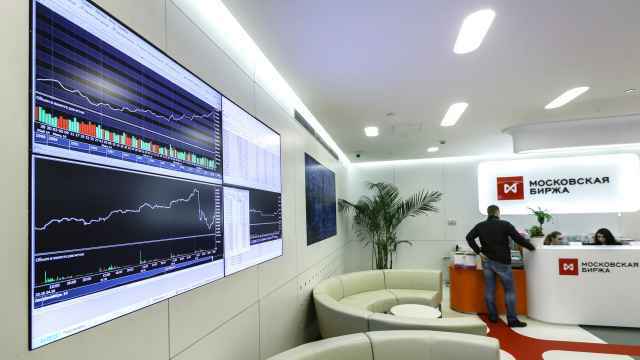 However, the current system may soon be reformed by measures suggested in the road map, which was created as part of a series of improvement plans from the federal Strategic Initiatives Agency that aim to raise Russia's ranking on the World Bank's list. If the road map measures become law — new legislation is expected by the end of the year — it will make construction permits essentially a formality, Slavina said. Developers will be able to start building if they have the title to the land, the necessary project documentation has been approved and the project matches the permitted use of the plot as determined in accordance with district and regional zoning plans, she said. "One of the goals of the road map of proposed legislation is to promote the creation of zoning plans throughout Russia at all levels, from the federal to the local," Slavina said.